My husband and I are now on our 18th winter of driving non-fancy 2WD cars in snowy climates. Locations we’ve driven said cars during winter include most of Colorado, Chicago and other “lake effect snow” parts of the Midwest, and our current mountainous hometown, which averages 100 inches of snow per year in town (double that on the higher mountains around us). This past winter brought us one storm with over 35 inches of snow in 24 hours. Our current vehicles are both 2WD. They were made in 2004 and 2007, were bought with cash, and cost us less than $100/mo total to insure. The costs for gas and regular maintenance (oil changes, etc) are negligible. It never struck us as particularly important to upgrade these cars when our income skyrocketed after we finished school or when we added children to our family. Apparently we don’t know the type of people who care much what others drive, because we haven’t lost any relationships over our choice of vehicles. 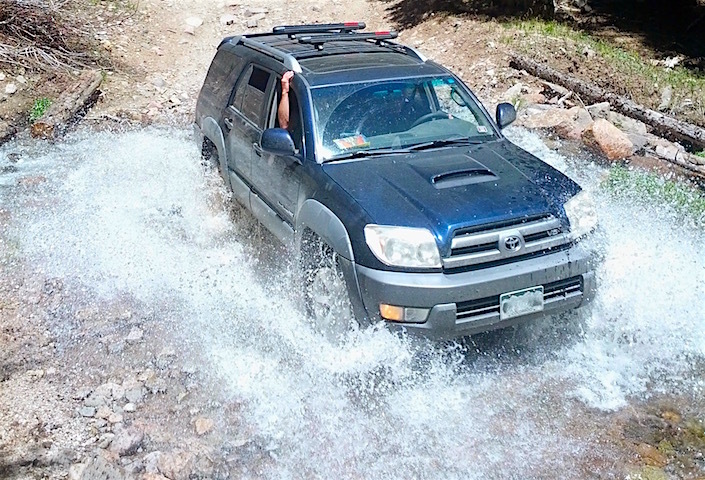 The idea that having 4WD or AWD is safer than 2WD is just wrong. Also myth-busted by the research is the idea that bigger cars are safer and that newer cars are safer. It’s mind-blowing that the car industry continues to trick people into believing that these things are true, but they do it – and do it well – year after year. Having appropriate tires on your car. Knowing how to use chains when you want to do things like get to a ski resort after a huge storm. Using seat belts (duh) and (when age/weight appropriate) air bags. Never driving while you are intoxicated, tired, or otherwise compromised at all. Not driving on undivided high-speed roads. Avoiding evening rush hour and late-night driving. Last and certainly not least: Not driving any more than you absolutely have to. An important note on that last bullet point: not only is less time in your car safer for you and your family, but it is better for your physical and mental health as well as better for the planet. Part of why we made that move across town last year was specifically to eliminate our daily freeway commute and have more no-car days. Less time sitting in cars = Winning. Let’s be super conservative in our estimates and assume we would have had the sense to not upgrade our cars until we had a big paycheck rolling in. That would have meant we got nice new cars right around the start of 2014, five years ago. The average car payment is now well over $500 per month and the average loan term is over 5 years. Over 44% of adults have a car loan, including many doctors and other high-income professionals. But let’s be generous with ourselves again and say we both got our vehicles for $400 per month ($800 per month total). This is not including insurance, maintenance, or gas. Maintenance and gas costs are both likely to be higher with 4WD than 2WD, and insurance absolutely will be higher on a newer car. Let’s assume we got lucky with our insurance provider and insured these two newer vehicles for just $50 more per month more than what we pay now (so we would have added $950 monthly to our family spending since early 2014). 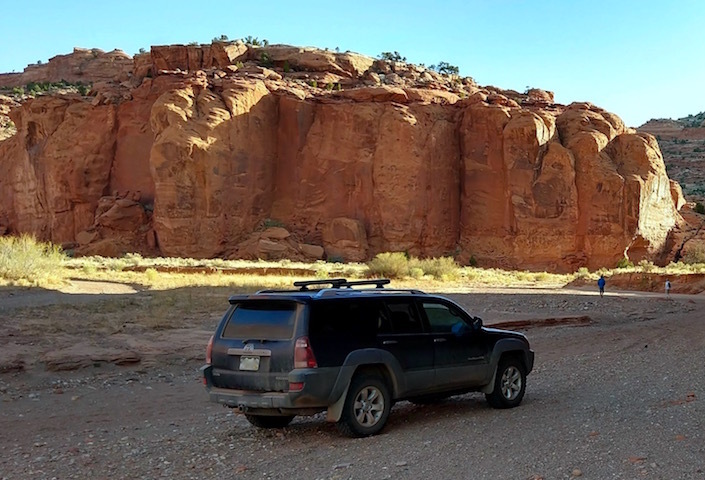 We’ll leave the maintenance, gas, and 2WD vs 4WD costs out of it. Using those super conservative numbers, we can safely say we’ve saved over $57,000 in those 5 years. That’s without investing that money or doing anything else with it. That’s just letting it sit in a checking account. In our case, we used that money to pre-pay our student loans and business loans. That prepayment has saved us over $9,000 in interest over those same 5 years. So we’re actually over $66,000 ahead of where we would have been had we bought new cars straight out of residency… with no decline in our quality of life, happiness, or safety. It’s doesn’t. There are no circumstances under which you need a new car. I’m not saying you can’t have one. Just saying you should think of it like taking a cruise: purely luxury spending that is not great for the environment and might make you fatter. 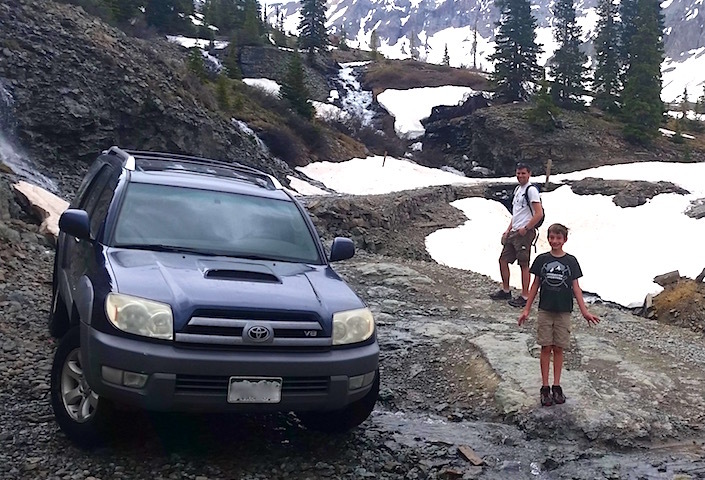 As we’ve outlined above, living somewhere that experiences weather, having children, or liking the idea of having a fancy off-road-mobile when you only get out in the wilderness about once or twice a year are not good reasons to own anything but a fuel-efficient, not-brand-new 2WD car. However, if you routinely drive places that do not have real roads and you have enough money to pay cash for all the costs of vehicle ownership, you can probably justify a slightly fancier vehicle than what we have. I’ll leave you with this gallery of the off-road adventures of my friend Mr. Computer Engineer (remember him?)! 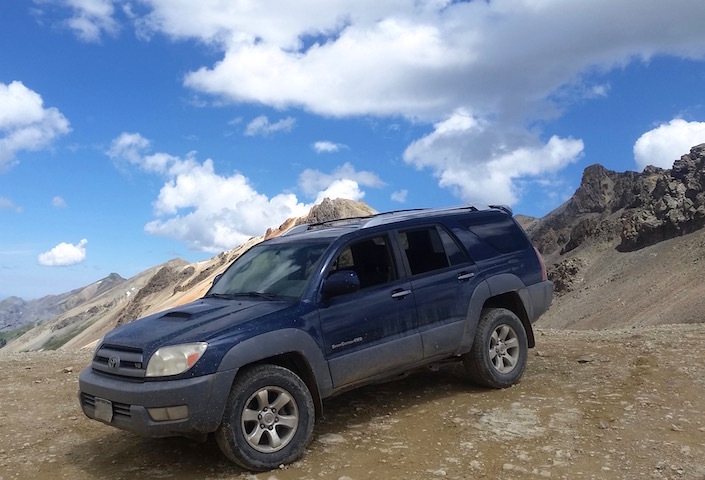 If you, like him, are spending most of your weekends romping around the wilderness where there is not a speck of asphalt to be found, and you have a great income and solid net worth, you too can consider purchasing a 2003 4Runner. So how do you deal with negative opinions on driving old cars? Interesting post! How do you feel about financing a car with 0% interest for a time, then paying it off before that time is up? You would pay the same price for it as if you just paid cash, without having to pay for it up front? Thanks Victor! Glad you liked the post! I don’t know, I really enjoy driving my Porsche Panamera. I like the way it looks and that it’s unique. I’d rather have it than the cash. Hi F.W.! I’m not opposed to people having fancy cars any more than I’m opposed to myself having a fancy bike (which I do). I just want people to understand what they are really costing themselves over time with their vehicle choices (particularly if they are financing said vehicles), and what else they might be giving up to drive an unnecessarily expensive car. For example, that $66k we now have working in our favor – just because we didn’t get new cars when I graduated – is more than 10 (TEN!!!) times what we spent on 6 weeks of domestic and international travel in 2018. Just food for thought. 😀 Thanks for reading and commenting! I’ve enjoy reading all of your posts! I just wanted to write a little comment in support!